Pull up a bar stool, and listen to the life story of beer in New Zealand ...Highly illustrated, meticulously researched and warmly told, Beer Nation recounts the early history of beer, exposes the modern age of commerce and big business, and charts the rise of contemporary boutique breweries - through interviews and first-hand stories from the personalities behind beer and brewing in New Zealand. Michael Donaldson's rich and engaging narrative is complemented by images from brewers' private collections as well as quotes and archival photography. 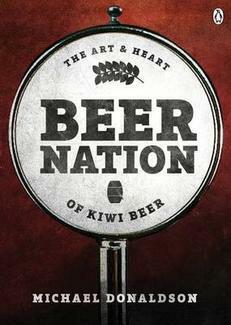 Beer Nation will inform, delight and awaken your thirst for New Zealand's favourite beverage.